On a slab of sandstone just outside Centennial Park there were once some Aboriginal engravings. Rock engravings were produced when Aboriginal people carved them onto level sandstone platforms, ledges or small rock exposures. They often show fish or land animals, ancestral beings, human figures, weapons and other motifs. Engraving sites can comprise a single figure or many figures. The engravings near Centennial Park were located on a flat rock which was later part of a cart track crossing that became today’s Darvall Street. The carvings depicted two boomerangs (or possibly wooden fighting clubs), portions of a kangaroo or wallaby, a stone tomahawk and possibly also an eel. 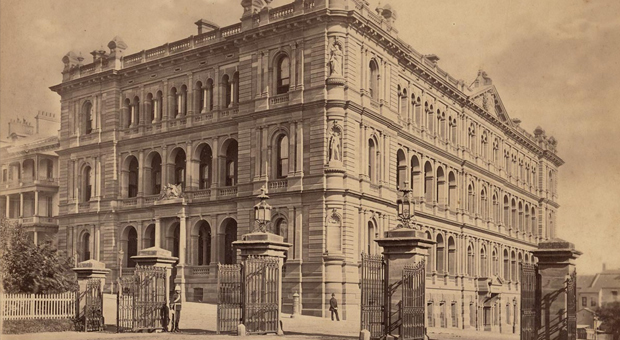 They were first recorded in detail in the 1890s by a government surveyor named William Campbell, who had a special interest in engravings around Sydney and wrote a book about them. This book is a valuable resource because many engravings, including the ones at Moore Park, have since been destroyed. Even when Campbell recorded them in the 1890s, he was told that many more engravings in the area had already been worn away by cart traffic over the previous decades. 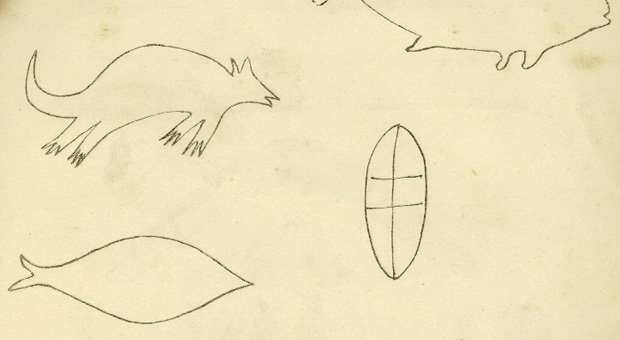 For example others who were familiar with the site mentioned engravings of two fish, an additional kangaroo, a possum, a shield, and other lines which would have once formed other figures (Mann 1885, p. 50). The Moore Park engravings are some of thousands of engraved figures found around the sandstone outcrops of the Sydney region. We do not know how old the engravings are, but many archaeologists believe their style suggests that they are between 5,000 and 200 years old. In Sydney, engraved images of sailing boats and other European subjects show that the tradition also continued after the arrival of Europeans. Rock engravings probably had many functions within the social world of Sydney’s Aboriginal people. Some engravings are thought to have indicated territorial boundaries, some were important for ceremony, and others may have been teaching places to educate Aboriginal children about nearby resources and how to share them. 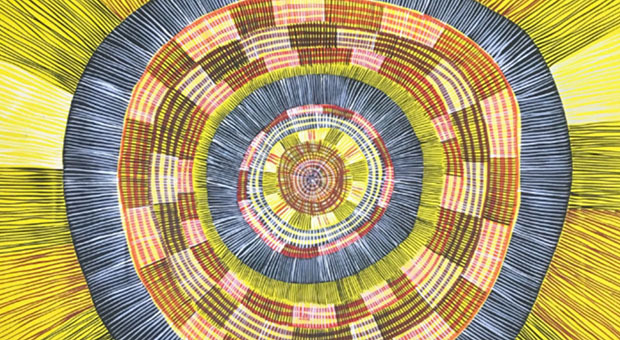 The meaning of the Moore Park engravings is not known, but they give us a good indication of the complexity of the social and cultural world of Sydney’s Aboriginal people. 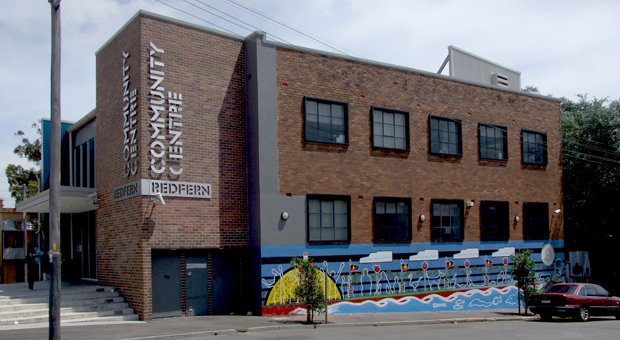 Engravings continue to hold deep significance to Aboriginal people living in Sydney today. Val Attenbrow, 2002. ‘Pre-colonial Aboriginal land and resource use in Centennial, Moore and Queens Parks – assessment of historical and archaeological evidence for Centennial Park and Moore Park Trust Conservation Management Plan‘ (Report to Beyond Consulting for Connybeare Morrison & Partners). W D Campbell, 1899. 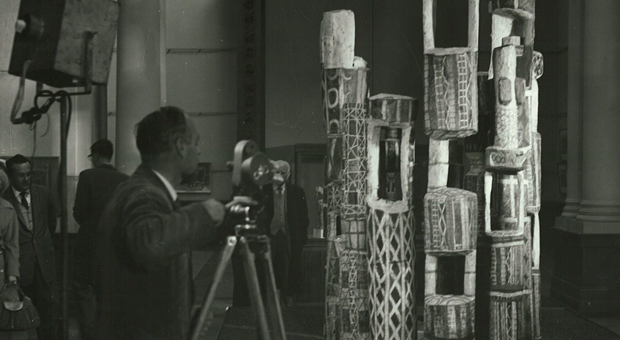 ‘Aboriginal Carvings of Port Jackson and Broken Bay‘ (Department of Mines and Agriculture, NSW). Mann, J.F. 1885. ‘Notes on the Aborigines of Australia. Paper presented at meeting on the 16th August 1883’, Proceedings of the Geographical Society Australasia, NSW and Victorian Branches (1st session, 1883–84) 1:27–63.